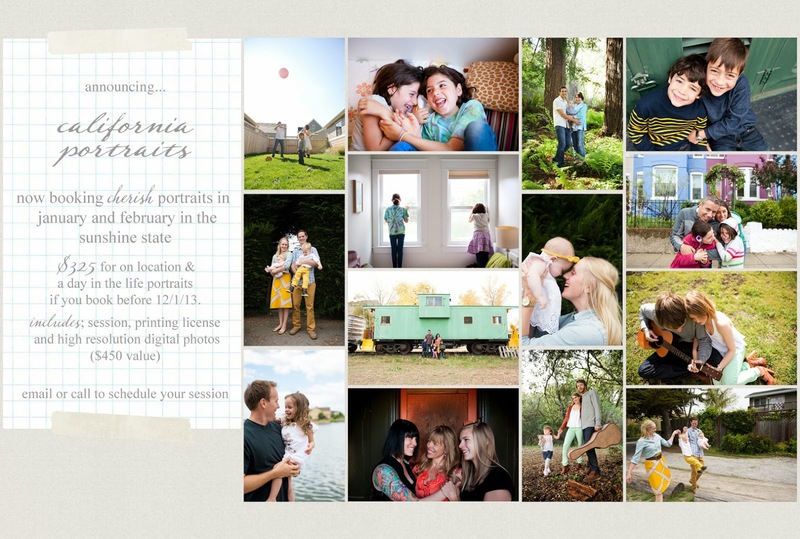 I'm excited to announce my upcoming California Portraits. Why am I offering a sale on my popular cherish sessions? Well, it's simple, this California girl misses the sunshine state, I have business out there in the next few months and I'd love to spend time with my wonderful California clients. There's a special energy out there that makes my heart happy. I'll coordinate dates with each client and personalize each session for you. These sessions are on sale for $325 until 12/1/13 and include your cherish session and high resolution digital photos with a printing license. and we'll create something beautiful together.